We apologise for posting this half eaten poster. Someone thought this was actual food and tried to eat it. 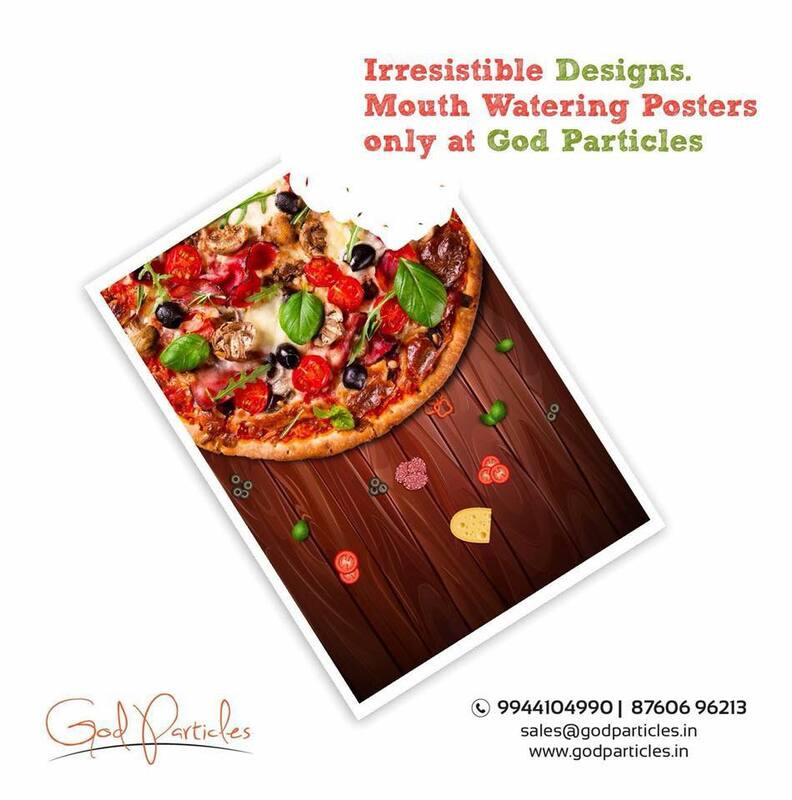 Our posters may appear very life like and tempting but they are not edible.Any inconvenience is regretted. – God Particles Best Social Media Posters Design Companies in Chennai. It is all in the name that elevates the brand holistically and by defining the mission acts as a roadmap of company’s future. God particles, Building a loyal client base putting client satisfaction first. Facebook,Twit,Instagram best social media posters design companies in chennai. Design strategies and promotions form the backbone of any marketing strategy which an organisation wishes to undertake and has the capacity to freeze the market with its output similar to Higgs boson in stunning the world. Our protons and neutrons are total commitment to quality along with timely delivery and customisation according to client needs. We fit in as an invisible superpower by catering the needs of customers by thoroughly understanding the environment in which the client operates. Hence the name GOD PARTICLES. is the total solution provider for Logos, end-to-end digital designs, Animation Videos, Creative product packages, Product photography, Minimals, Illustrations and what not. We embrace creativity by giving you a Presence, Sustenance and Connection with your Customers. Keep up the fantastic piece of work, I read few articles on this site and I believe that your web site is real interesting and has circles of good information.